On the occasion of the convention “The Good Company”, organized in Rome in 2006 by the Pontifical University of San Tommaso in Rome, in collaboration with Saint Thomas Catholic University of Minnesota, USA, a few professors decided to elaborate a “Business Ethics” handbook for American university students. The book would present useful cases for studying the link between religious faith and business management. 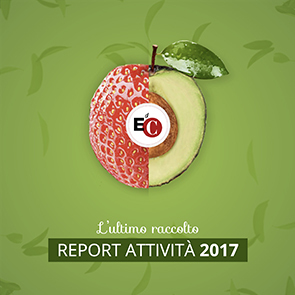 Two EoC businesses were proposed among them: Mundell and Associates, an American businesses that works in the environmental sector, and the Italian cooperative of Loppiano Prima. The latter arose twenty years before the EoC project began, and Chiara herself defined it as “a foreshadow of the EoC businesses”. It grew together with the international small town of Loppiano, which strives to be a living example of the charism of unity and the Gospel message. Since the moment that the cooperative began, it searched for many who shared its principles, way of working and producing, and began with 100 shareholders. Today the cooperative has more than 4000 shareholders. When the Cooperative was constituted in 1973, it bought an already existing winery called “Tracolle”, complete with cellars, store rooms and sufficient structures for beginning an agricultural initiative. It then decided to hire on farmers (ex share croppers), whose families had already been living on these lands for more than 100 years, and in doing so acquired the tote of generations of experience already present on the land. True relationships were created with these farmers despite the diversity of political and religious ideas – a special co-habitation among believers and non-believers. In ´74, the shareholders strongly desired to make the business more economical. Although their means were scarce, they decided to recuperate fields that had been abandoned for a number of years. They had to decide if in taking on more land it was okay to use less herbicides. They decided against the herbicides and hired three laborers to do this job, even though it was costly. In this way, however, they were able to respect the principle that still guides the cooperative today: “think of the health of man”, even when economy is very important. In 1984, a serious frost hit Tuscany. It was one of the most difficult years because the pruning work to be done after the frost carried enormous costs. At first, they thought it was possible to save the plants by only cutting the “head” of the olives, but after fifteen days, seeing the seriousness of the frost, they realized that the only way to save them was to “cut the plant at its foot.” It meant a loss of nearly 5,000 olive trees, and many other agricultural businesses in similar situations had to close that year. On that occasion, like others, the cooperative turned to Providence, always came through in the past. The administrating council made a proposal to its associates: reintegrating the loss with new contributions and, above all, it asked each associate to buy at least a box of wine from the cooperative (already at top quality). Thanks to the large number of associates, the cooperative sold many boxes of wine and was able to survive.